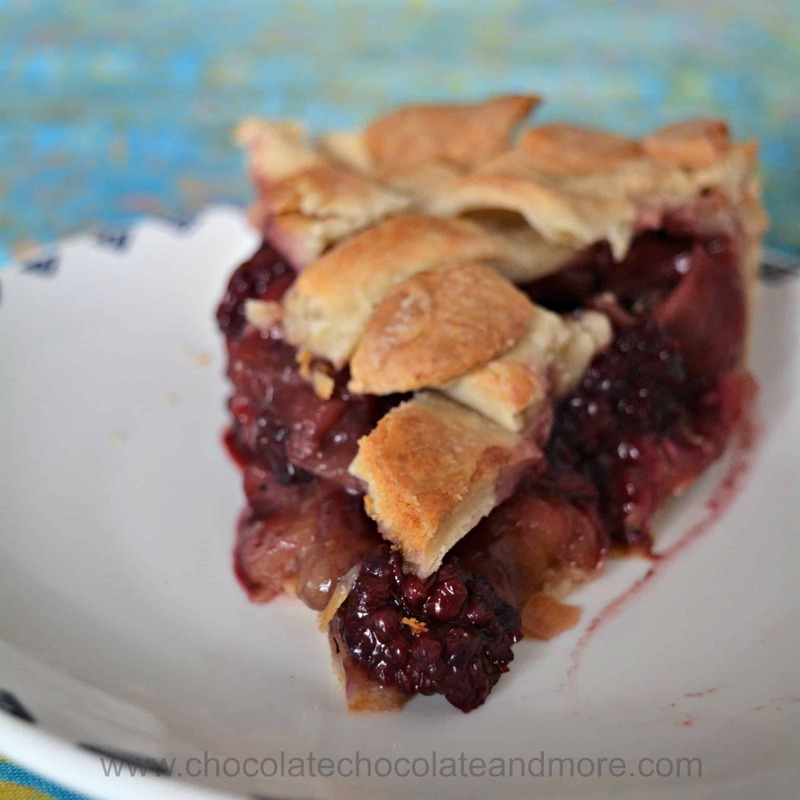 Blackberry Apple Pie - Chocolate Chocolate and More! 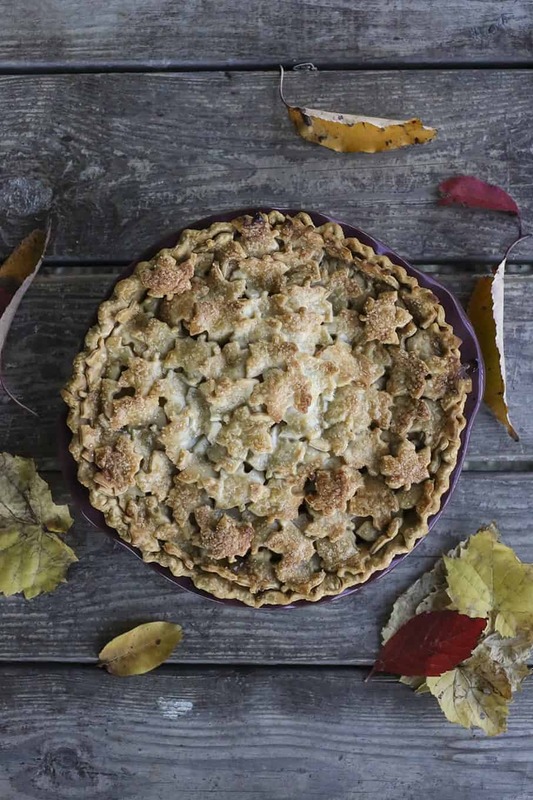 Blackberry apple pie combines the flavors of summer and fall. 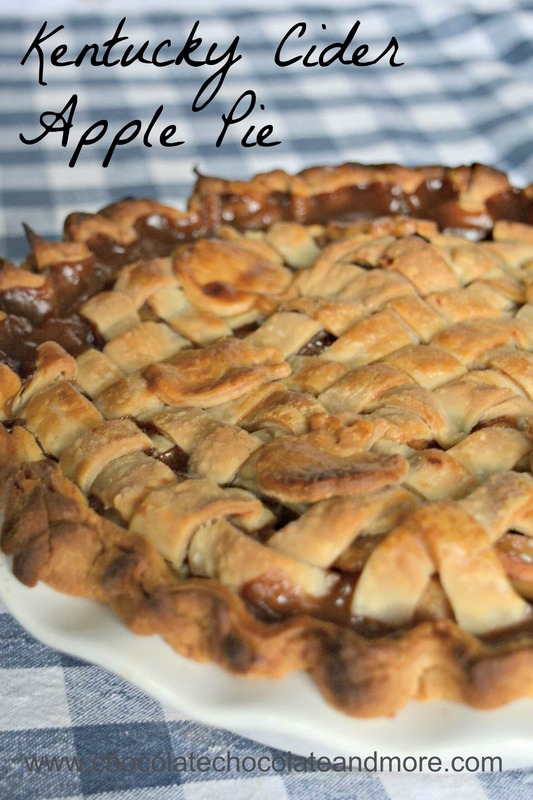 It’s a wonderful twist on the classic apple pie. We had a lot of freedom when I was a kid. In the summer, parents expected their kids to play outside after breakfast and many of us only came home when the dinner bell rang. There was a field and forest behind our neighborhood. My friends and I spent countless hours exploring nature there when we weren’t at the neighborhood pool. The forest was more attractive to me because it was cooler (temperature wise) and there was a creek in the middle. The creek always had something interesting for us – crayfish, minnows, and our vain attempts to build dams and other structures. The field had wild blackberry bushes. And in August, those bushes were full of wild blackberries. We picked and ate them until our lips were purple. When I was a grad student in Oregon, wild blackberry bushes abounded. As a poor graduate student I couldn’t pass up free fruit – especially not free blackberries. I made a lot of blackberry pies for friends. I love the flavor of blackberries but sometimes the volume of seeds in a pie is a bit much. 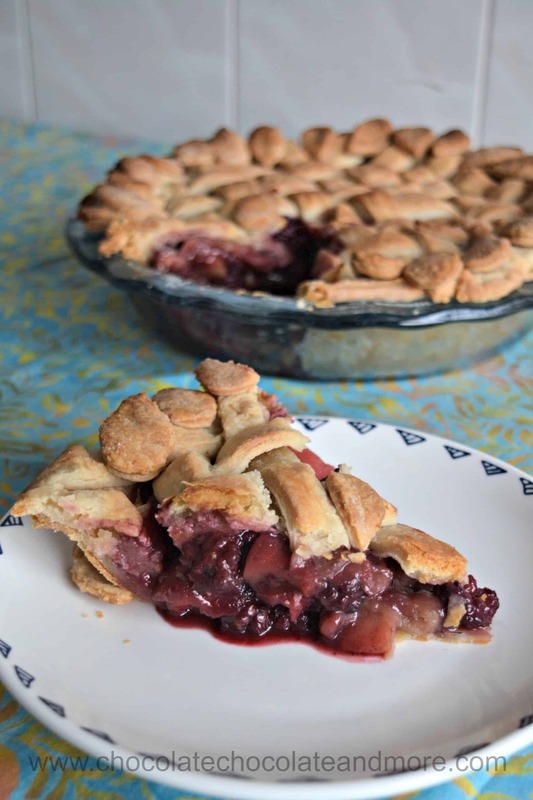 This blackberry apple pie has the wonderful flavor of blackberries and some added texture from the apples. And there are a lot less seeds. If you don’t have access to free blackberries, it’s also a bit cheaper than a straight blackberry pie. I had company over Thanksgiving but they arrived too late for dinner so I kept a few slices for them. They didn’t notice the pie in the fridge so I ate it for breakfast. It’s loaded with fruit so it’s good for you right? I hope you enjoy this blackberry apple pie as much as I did. Mix apple slices, sugar, cinnamon and flour together. Melt butter in a large skillet and add apple mixture. Cook until apples are soft but not soggy. 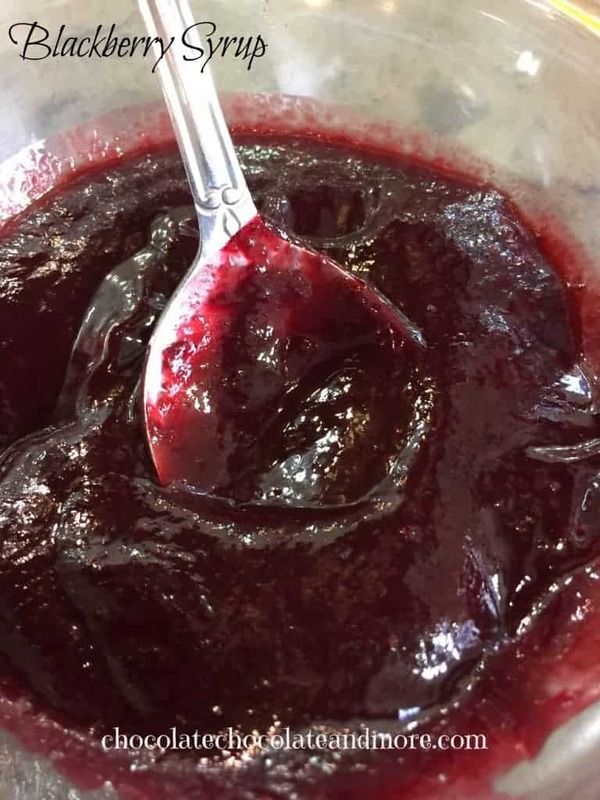 Remove from heat and mix in blackberries. Line the bottom of a pie dish with the crust. Cut a sheet of baking parchment large enough to cover the pie crust and place it on top. Add enough dry beans to weigh down the paper so that it lies flat on the bottom. It's ideal if the paper is large enough to cover all of the crust so the edges don't get too brown. Bake at 400° F for 20 minutes. Remove paper and beans and bake for 5 more minutes. Fill the pie and top it. Pour filling into bottom crust. Brush the edges of the bottom crust with egg mixture. This will help the top crust stick to the bottom one. Top with either a lattice crust or plain pie crust. Brust the top with more of the egg mixture and sprinkle cinnamon sugar, plain sugar or turbinado sugar on top if desired. Bake for 30-40 minutes at 400°F. The pie crust should be golden. Looking for more blackberry recipes? This looks delicious! Can’t wait to try making it! THanks Christie. I hope you enjoy it!